Eyelashes have the remarkable ability to completely transform the look of your face. We all want long, thick lashes, but many of us struggle with thin and short lashes. Eyelash extensions are an easy and convenient way to enhance your natural lashes. At The Hair Boutique, we offer full-service eyelash extensions that will truly make your eyes pop! No more dealing with the endless struggles with finding the right mascara, applying false lashes or waiting for a lengthening serum to work. With eyelash extensions, your lashes look natural and effortless full and beautiful every single day. It is important to understand that eyelash extensions are not the same as temporary or false lashes. Eyelash extensions are professionally glued to your existing lashes by our qualified lash specialists. Extensions are bonded directly to your existing lashes and last for up to six to eight weeks after application. The process is painless and takes about two hours to complete. Once you discover the magic of eyelash extensions, you will be hooked! There are many different shapes, sizes and styles when it comes to eyelash extensions; there is no one size fits all solution. Our lash professionals will sit down with you and examine your face and eyes to determine what the best lash style is for you. Regular maintenance is required if you would like to maintain your lush lash look. We suggest scheduling a lash fill every two to three weeks to maintain your lashes properly. If you typically wear waterproof mascara, discontinue use of it at least three days prior to your lash appointment. The compounds in water-proof mascara hinder the extensions ability to properly bond with your lashes. Make sure you arrive with a clean face and lashes. This means making sure any and all eye makeup is removed prior to coming to your appointment. Any residual eye makeup may inhibit the extensions’ ability to be bonded properly. Try to arrive at your appointment freshly showered and with clean hair as you will not be able to get your eyelash extensions wet for the first 24 hours after application. We recommend that you not wear your contacts to your appointment, but rather wear your glasses instead to help protect your eyes. Get ready to transform your look and fall in love with your lush, full lashes! Why Choose The Hair Boutique for Eyelash Extensions? Our eyelash specialists are fully trained in the application of professional eyelash extensions. We are fully trained in discovering exactly which style will fit your eyes best and we provide free consultations where we work together to create the perfect lash look for you. 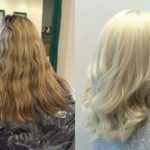 Our kind and courteous professionals listen to you, our customer, to find out exactly the look you are going for and then we work together with you to achieve it. We love helping you to look and feel your best. Get ready to wow everyone, including yourself, with professional eyelash extensions from The Hair Boutique today! Simply give us a call or schedule online to get your free eyelash extension consultation today, you will be glad you did! Remember if you haven’t had this service before, you can download a FREE £10 voucher to use at your first eyelash extension appointment with us. Claim your free voucher today.